July 13, 2017	Geoff Blog, Jim Blog, Kirby Blog, Neil Blog, What's Happening in BOB Country? 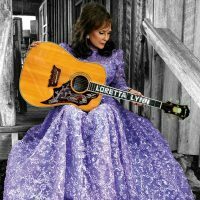 Loretta Lynn is finally back at home after suffering a stroke in May. Reports say that she is getting stronger each day. Her new album release scheduled for August has been postponed and all remaining 2017 tour dates have been canceled. Head over to her Facebook page for more information and wish her well!